Today I’d like you to meet a lovely woman who has overcome many challenges thanks to God’s help. 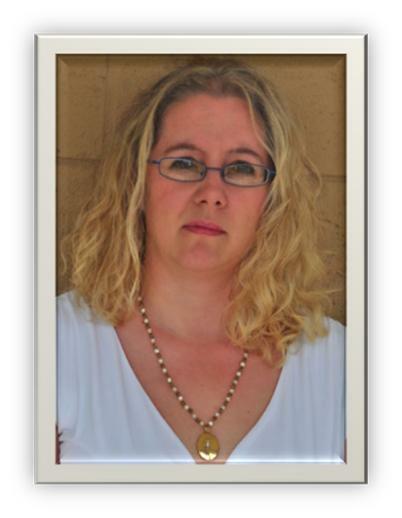 Suzanne Williams now runs the Fearless group on FB, helping others to overcome fear issues and live again. Welcome, Suzanne. Thanks for joining us! We’d love to know a little about you. Who is Suzanne Williams? I always say my life is ordinary. I am a “born and raised” Floridian. In fact, I live only a few miles from where I grew up. I attended a local high school, graduating with honors. My parents were always active in the church, dragging my older brother and I to every service imaginable. My mother is an ordained minister who teaches in churches across the U.S. and in Bible schools around the world. I have worked for her as the office staff for twelve years doing everything from sound and video editing, to graphic design, accounting, and even typing and filing. My spouse and I have been married for twenty-two years. We have one eighteen-year-old daughter who is graduating from high school this year. He is my best friend and she is my sidekick. We have one spoiled dog, a dachshund, and two saltwater fish. I know how active you are on the Facebook page and with writing, but if you weren’t doing that, what might you be pursuing? If I am not writing, I am reading. I think a writer learns to write better through what they read. I am an avid nature photographer. I take time out at least once a week to concentrate on photography. I see life through the nature around me. I enjoy gardening. I grow everything from flowers to seasonal vegetables. I especially like to plant what draws in insects or birds. Gardening is not my forte! I can kill plastic plants, so I have a great admiration for people who can grow things–especially when they can grow things for a purpose like to attract butterflies or birds. You sound like you lead a very quiet, peaceful life. Have there been any challenges along the way? I never thought my life would have a great challenge. But in 2007, my world fell apart and I became physically ill. I found myself gripped by fear to the point I couldn’t leave home. It was a struggle even to buy groceries or attend church. I turned to God as the answer. First, I repented. I had bitterness in my heart that required forgiveness. Then I poured myself into the Word of God. I turned off the television, closed all the books, and spent my days and nights feasting on God’s words about peace and freedom. I learned to worship. Worship lifted God back into the place He needed to be for my life to have balance, and through it, God became bigger than my problem. I will not lie; it was a very hard and slow process. I had to go places I was afraid to go. Often I went sick, but I went. Still today, I find myself doing things out of the ordinary, having little victories. Just yesterday, I drove after dark by myself. That was a huge step from where I was a few years ago. It’s amazing how we take things like that for granted when others struggle so much with them. Is there a quote or saying you live by now? Something that gets you through the hard times? I believe Christians must live clean, moral lives in the midst of the sin around us. We must walk in the love of Christ, our lives shining as examples of who Christ is. Boy, AMEN to that! Are you working on anything new right now? I am writing a fiction series, the first book to be released through Write Integrity Press in April. I never thought I’d write fiction, but one night the Lord sparked an idea in me that I had to pursue. It has been fun and I’ve received only positive comments from those who have read it so far. Awesome! Something to look forward to! So what about your other writing endeavors? 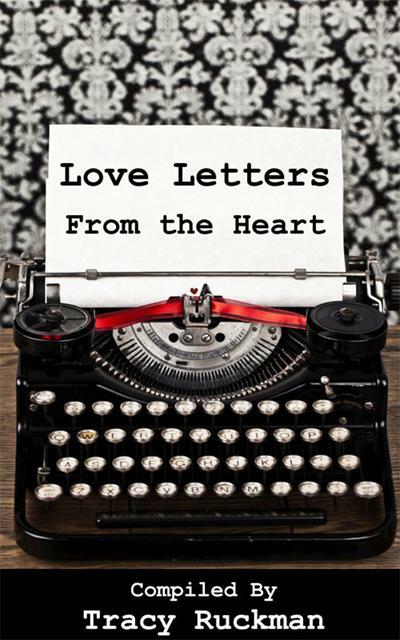 This month, one of my letters released in the book Love Letters from the Heart, published by Pix-N-Pens Publishing. These letters serve as testimonies to people in a variety of situations – letters from people who have experienced pain and suffering and want to share their heart with someone going through something similar. Love Letters from the Heart is a beautiful book that will touch hearts and has the power to change lives. Last year, Tracy Ruckman and I began a project for a series of anthologies entitled “Life Lessons.” Our first book in this series, Life Lessons From Grandparents, came out in December. Currently we are seeking submissions for the other books in the series – Moms, Dads, and Teachers. We are looking for heartfelt stories about how these special people touched your life. Visit Write Integrity Press for information on how to submit. One year ago this March, I released my book, Fearless. It is my testimony of freedom from fear, words God spoke to my heart that set me free. I am so blessed at the comments people have given of how it has helped them. That was truly my heart in creating the book. I saw so many trapped in the cycle of fear and wanted them to know there is a permanent way out. I know our readers would love to read that! Tell us where we can find you on the ‘net to learn more. I write regularly in my blog. All the links to my places on the web are listed there – both with my writing and my photography. I also write monthly for Steve’s Digicams.com on the subject of photography. Email subscribers to the blog will receive notice of anything I have coming out. Readers, Suzanne is giving away two prize packages of books – one digital and one print! Just leave a relevant comment here on the blog about her interview, and then tell us whether you’d like to win the digital package or the print package. The print package is available only for residents of the US, but the digital package is available internationally. Comments must be posted by March 2, 2012 – Winners will be contacted by e-mail, so be sure to put your email address in your comment. Thanks for joining us Suzanne. Best of luck and many blessings on all you do! Join us next week when our guest will be Judy Hampton. Until then… Have a blessed day! What a beautiful post! I have a fb friend who struggles with Bipolar and I am definitely going to share this with her and get her to comment! I think this book would be good for her. A Christian perspective on this topic is so much needed! God bless you! YW. That is why I wrote the book. I couldn’t find Christian help when I needed it. I have not read any of your books as of this date; however, I look forward to reading your books in hopes that they willl be a fit for my book club. Following God’s Will always proves to be a great thing. I know from living with chronic illness, fear can come in and steal what little joy you’ve carved out for yourself during the day if you let it. Keeping our minds trained on Christ can some times be a daily battle when you feel awful and are fatigued. Bless you for sharing your experiences and helping others in the same spot! That is the key. You have to keep renewing your mind. Thanks for the comment! My preference would be the “paper” book.